If you’re tired of public transportation or spending the Alameda-area commute in a car that’s way past its prime, you’re in luck! Our used vehicle specials make it easy to upgrade to a newer ride, without breaking your budget in the process. Explore efficient options like the Toyota Prius, go off-road with the rugged Highlander, or relax in luxury in a well-equipped Camry. Whichever model you choose, you’ll get access to the reliability and design that has landed Toyota at the top of critic’s wish lists for more than a decade at a price you can live with. Explore your options here then keep reading to see why, when it comes to adding a little affordable flash to your West Hollywood-area lifestyle, nothing beats a pre-owned Toyota. 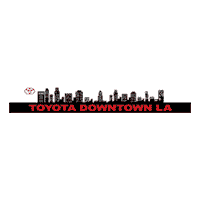 Why Buy a Used Car from Toyota of Downtown Los Angeles? Plus, since you’ll have a sales associate at your disposal every step of the way, you’ll have all the information you need to make an informed decision, so you know you’re driving away with the perfect car for your busy life. Contact an associate today to learn more or to schedule a test drive of your favorite trim and see how much you could save with our used vehicle specials.